– Crimson Red More Appropriate? That includes almost 1,900 female babies per day whose potential womanhood is permanently cut short in a denial of their right to life. 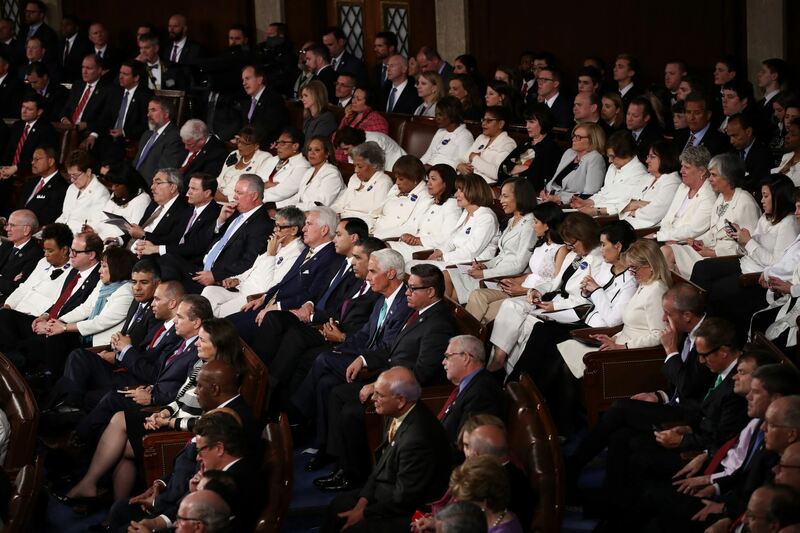 White is the color of saints, purity, and things that are righteous, washed, and acceptable – the color for these abortionists should be scarlet and dark crimson. At the least, their color should be black for the shadows that have overtaken their darkened hearts. This band of brooding dark daughters of Moloch sat with sullen faces when the President decried the recent passage of New York’s barbaric abortion law allowing children to be killed up to the last day of a woman’s pregnancy. For them, the 60,000,000 (sixty million) children already given a death sentence without ever having committed so much as a misdemeanor – are not enough. The lust for the blood of the innocents is a vampirish and dehumanizing picture of what America’s leftists, progressives, and Democrats have become.